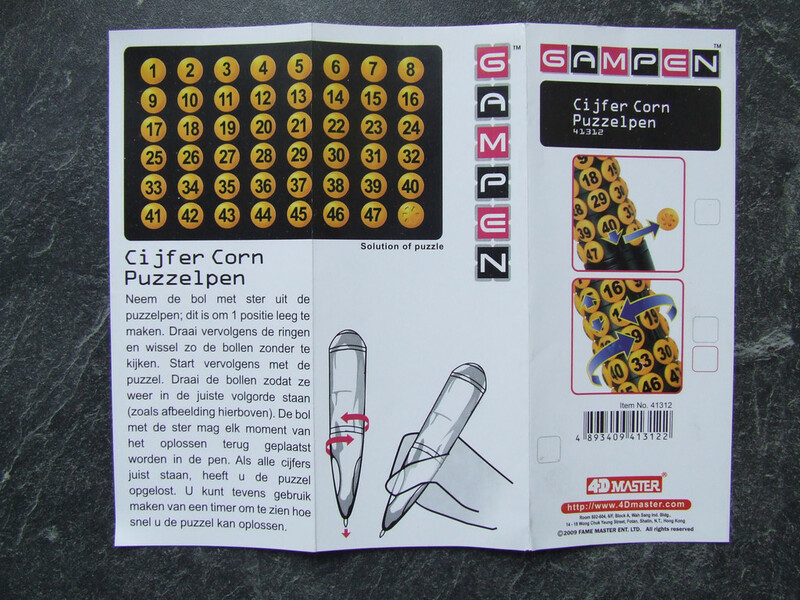 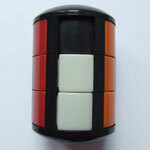 Varikons and Towers - wittingen-puzzels's JimdoPage! 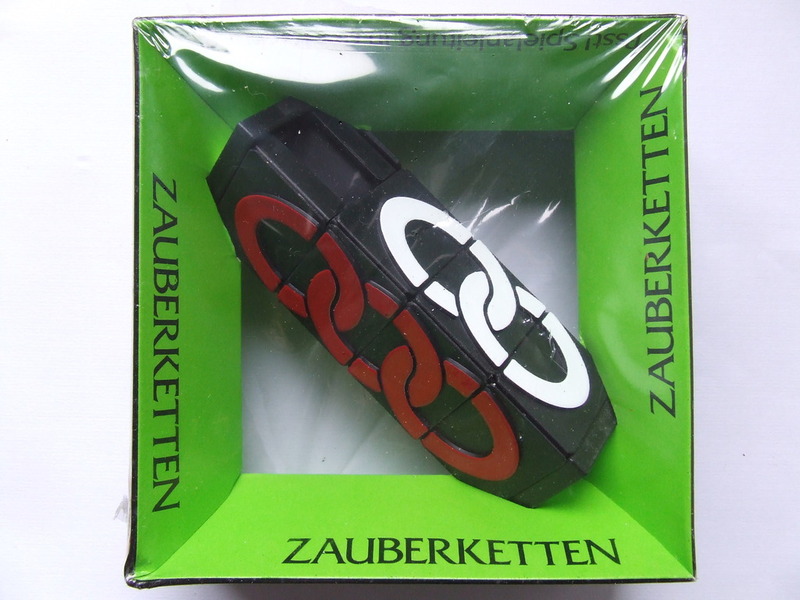 Designed by Zoran Lišančić ? 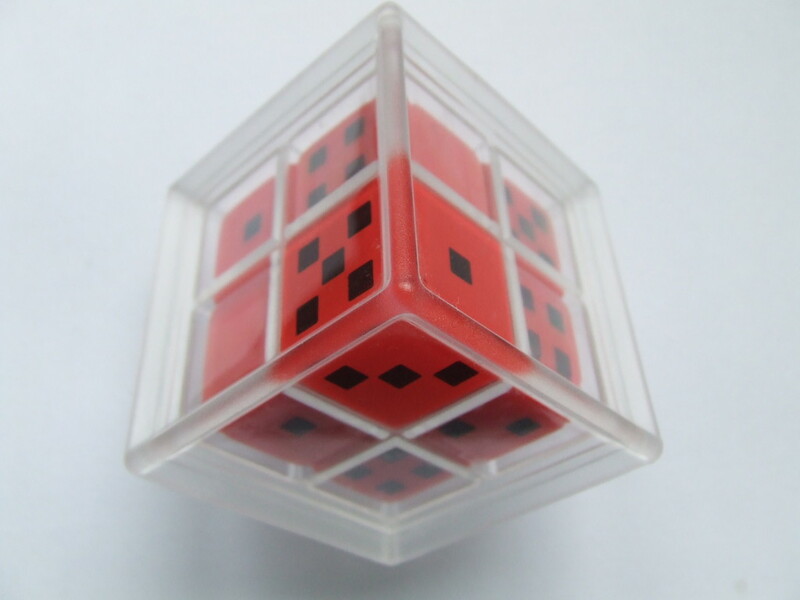 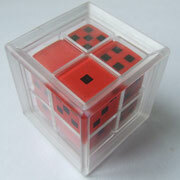 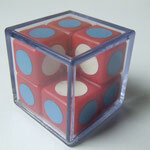 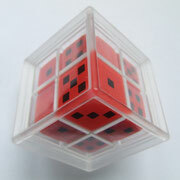 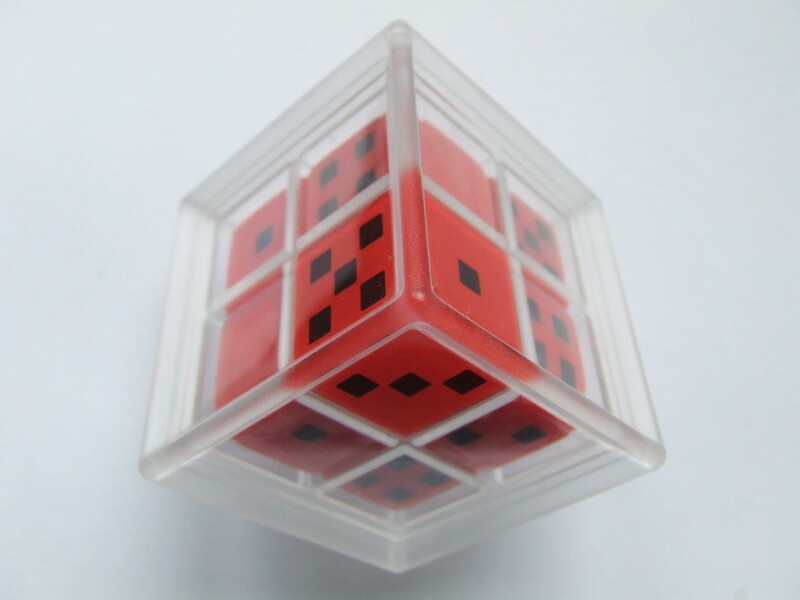 The Varikon 3x3x3 has a transparent box, containing 26 cubes and a space, so that the cubes can slide around. 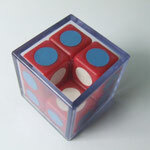 The face centres are fixed onto the central cube, so that there are only 19 moving cubes, arranged along the corners and edges of the box. 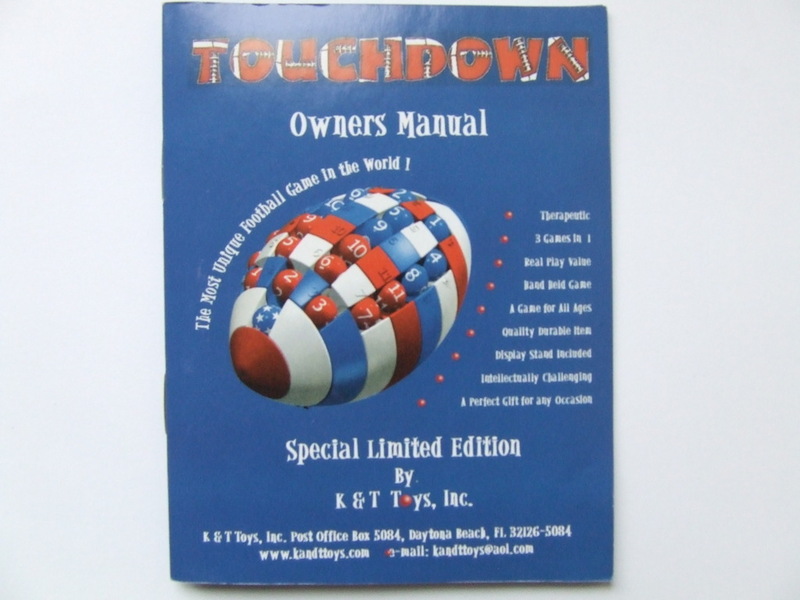 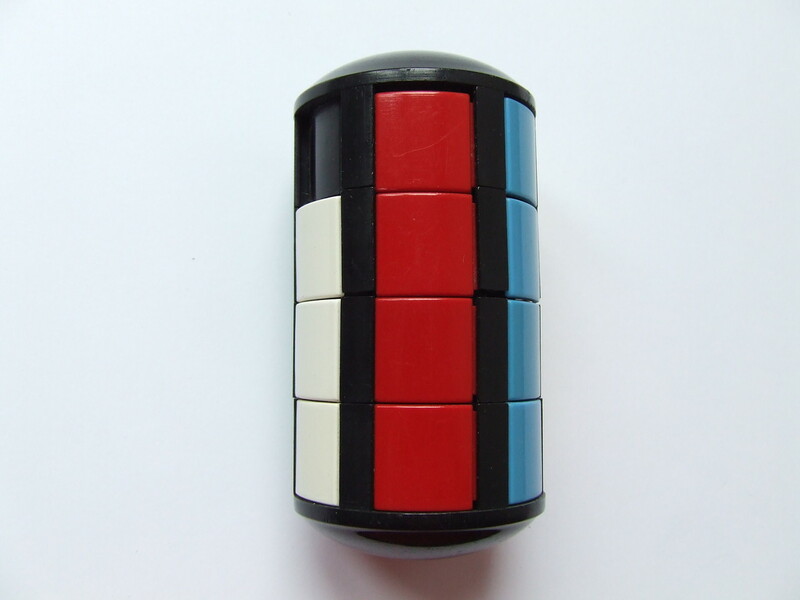 The Varikon Box was invented by Csaba Postasy, Gabor Eszes, and Miklos Zagoni. 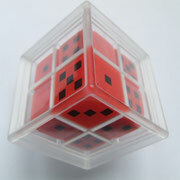 The Varikon Box 2×2×2 puzzle, this is a 2×2×2 sliding cube puzzle. 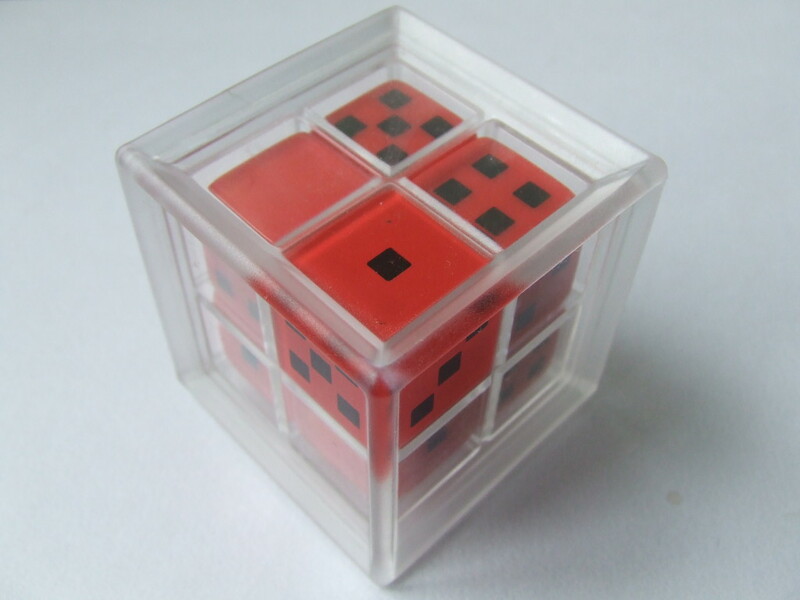 The transparent box contains 7 cubes and a space for sliding around. 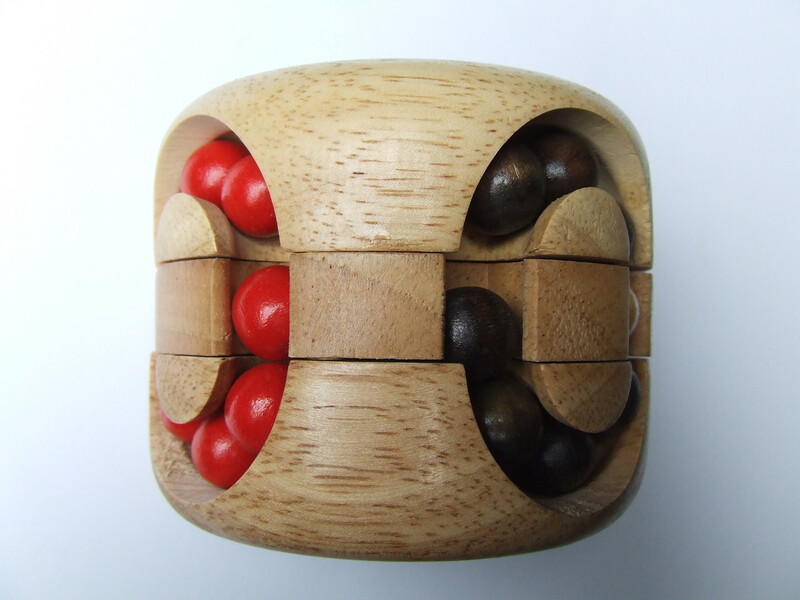 The Varikon Box was invented by Csaba Postasy, Gabor Eszes, and Miklos Zagoni. 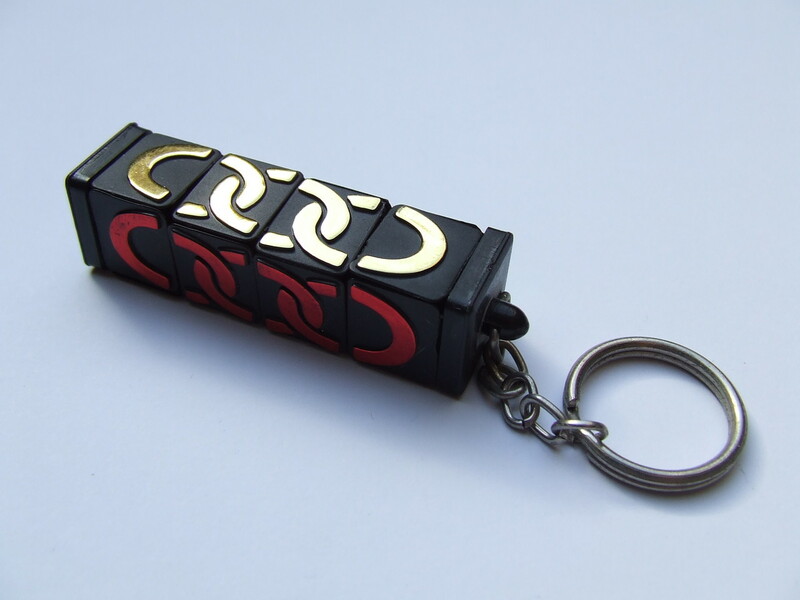 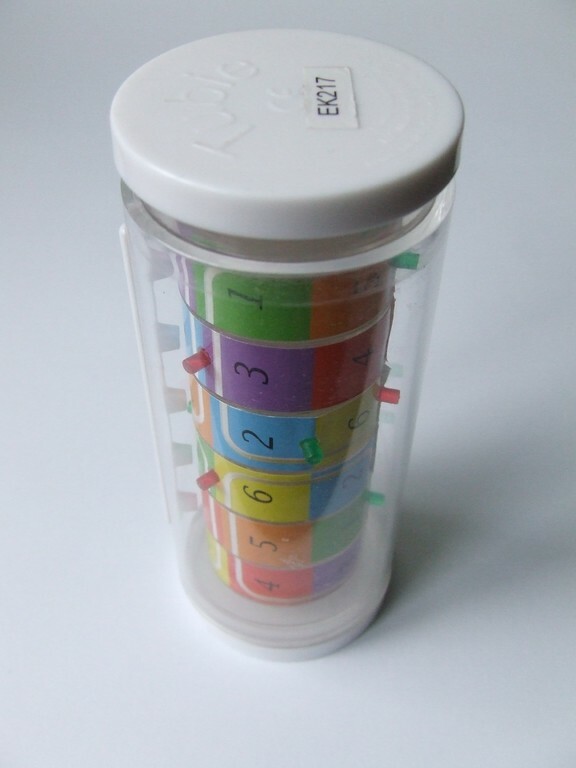 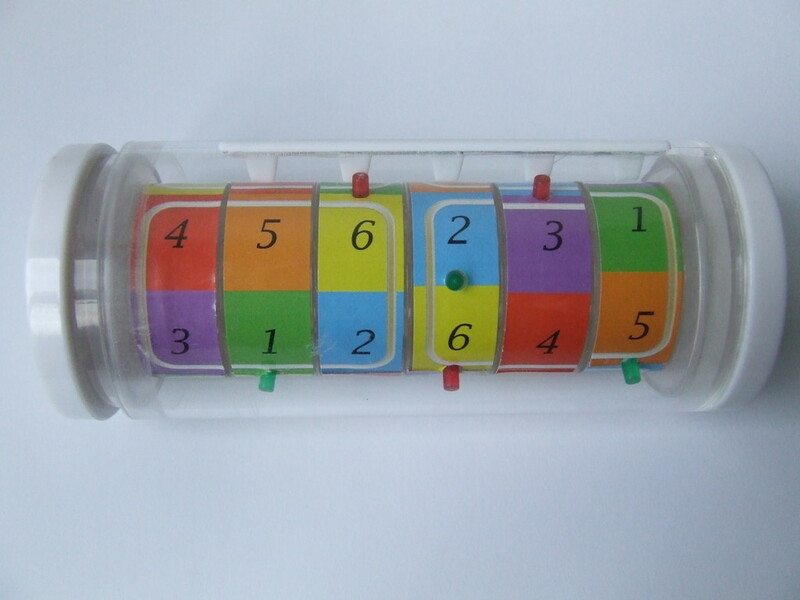 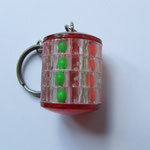 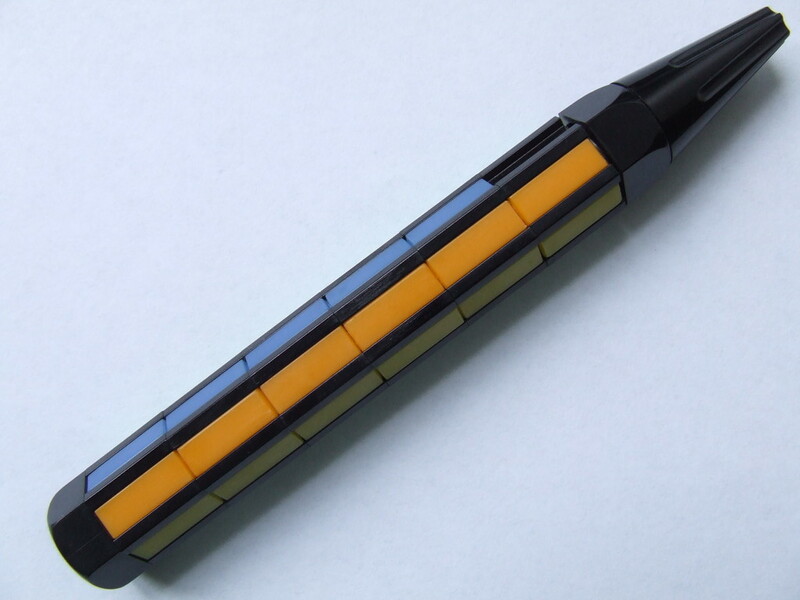 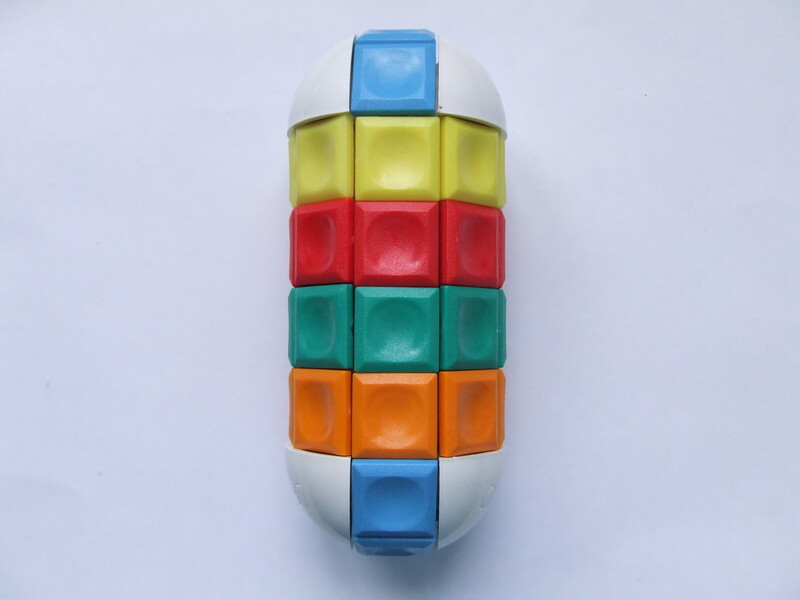 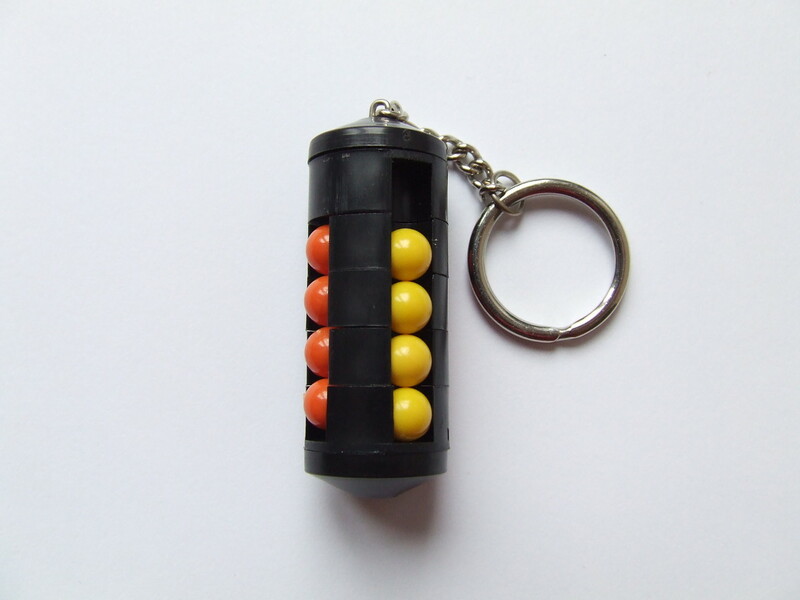 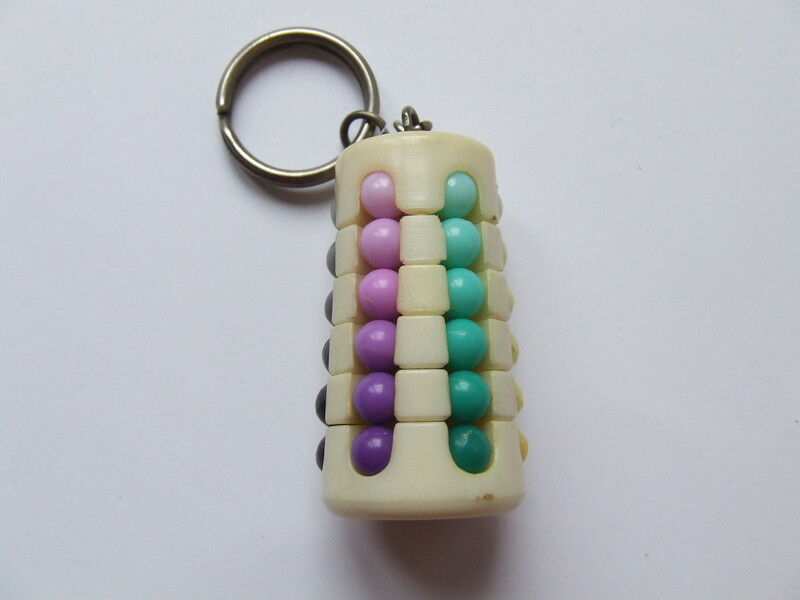 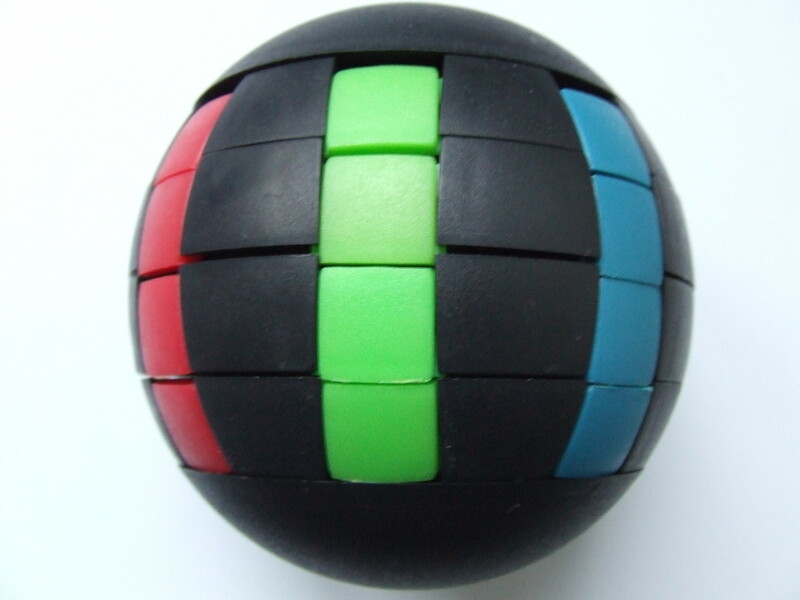 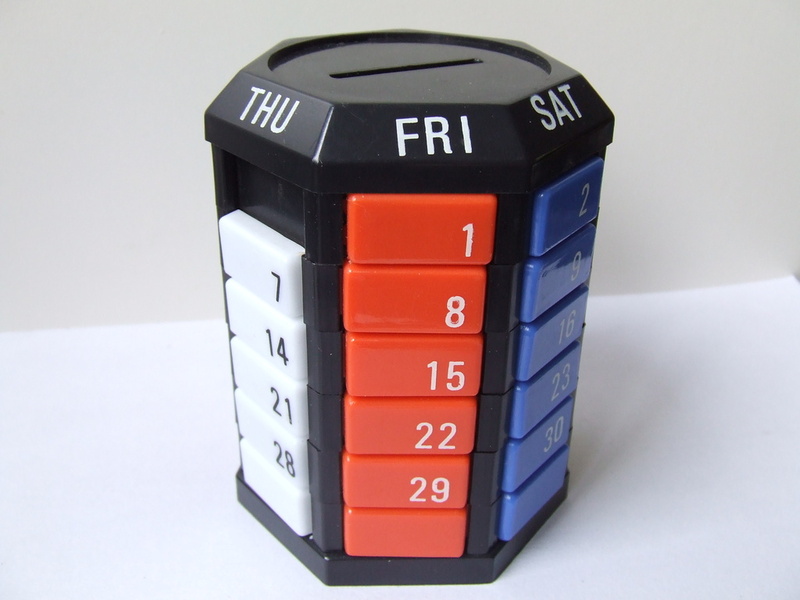 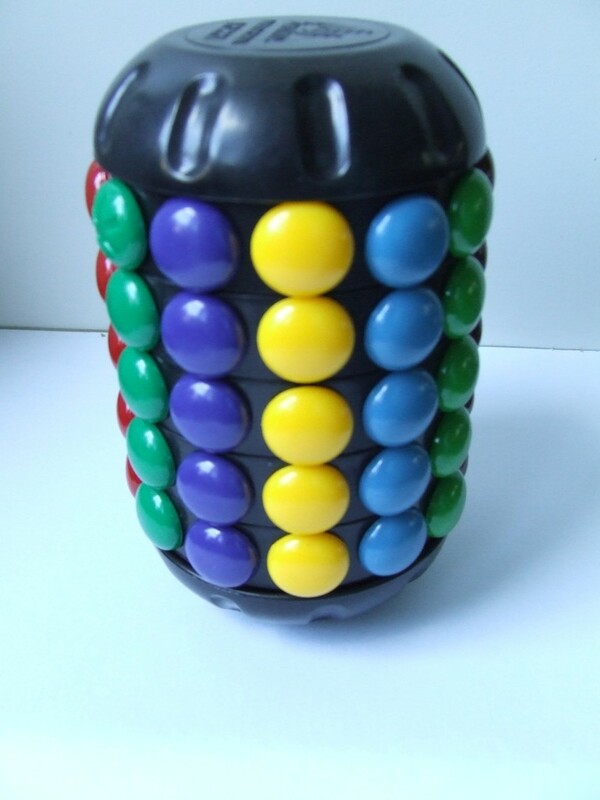 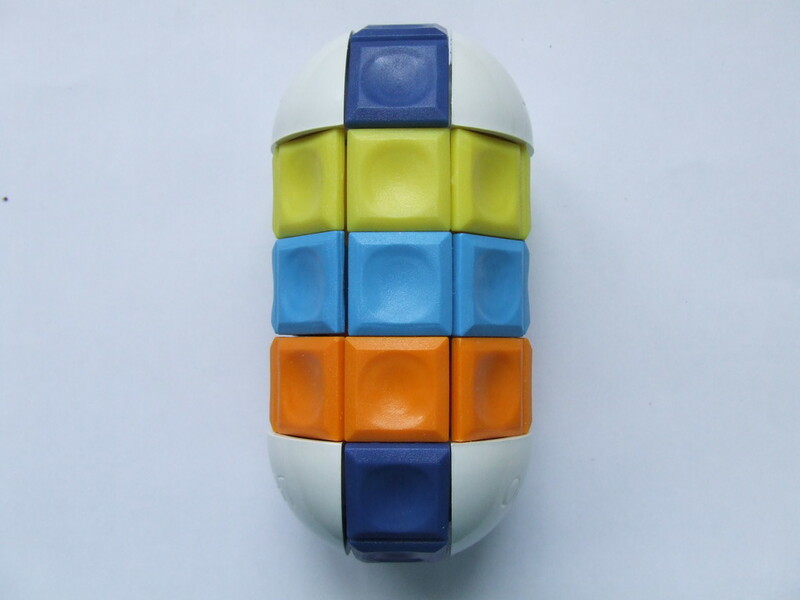 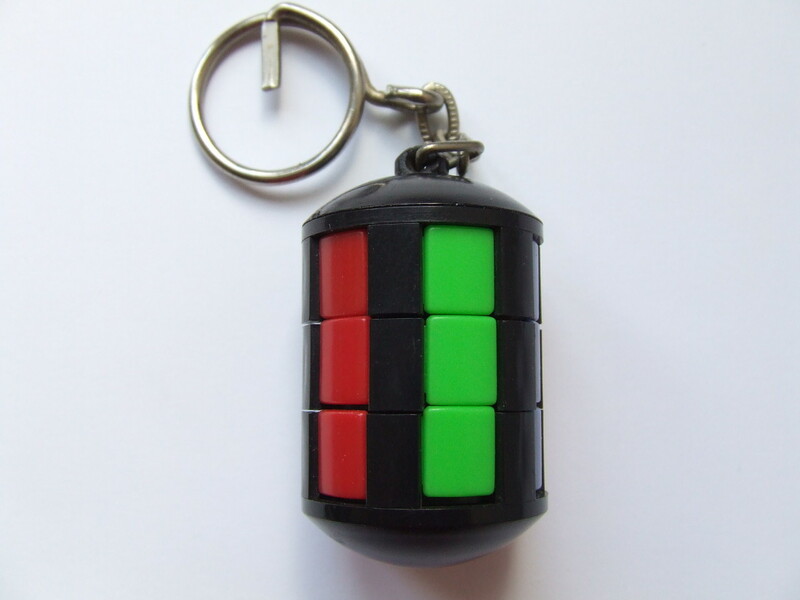 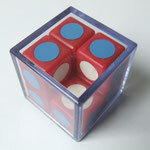 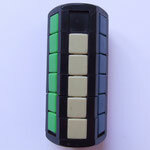 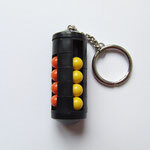 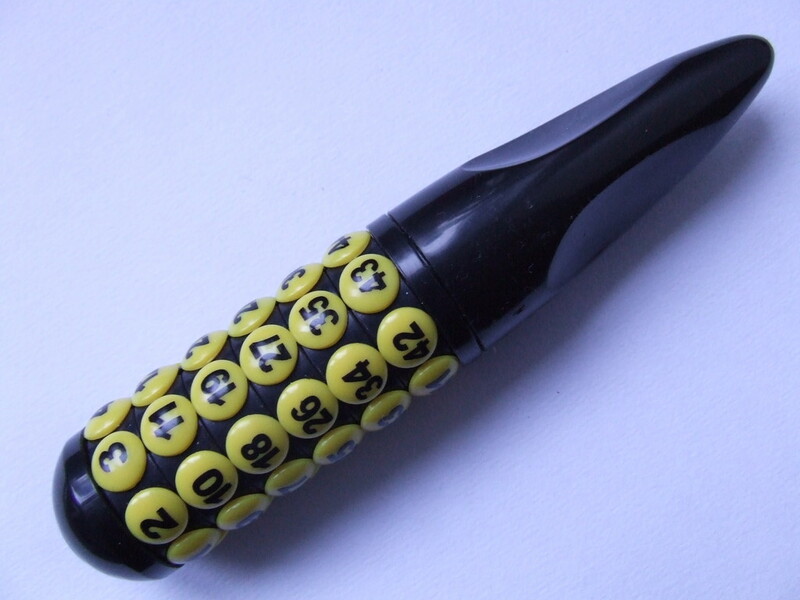 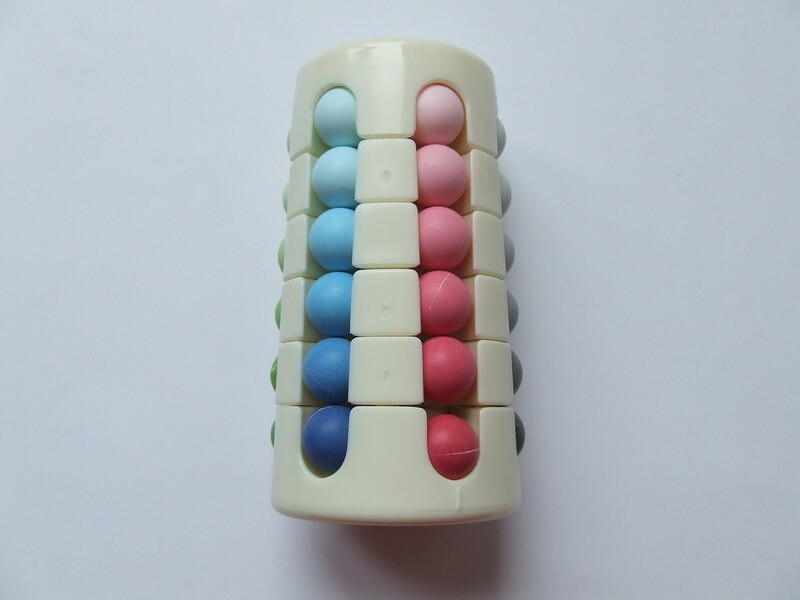 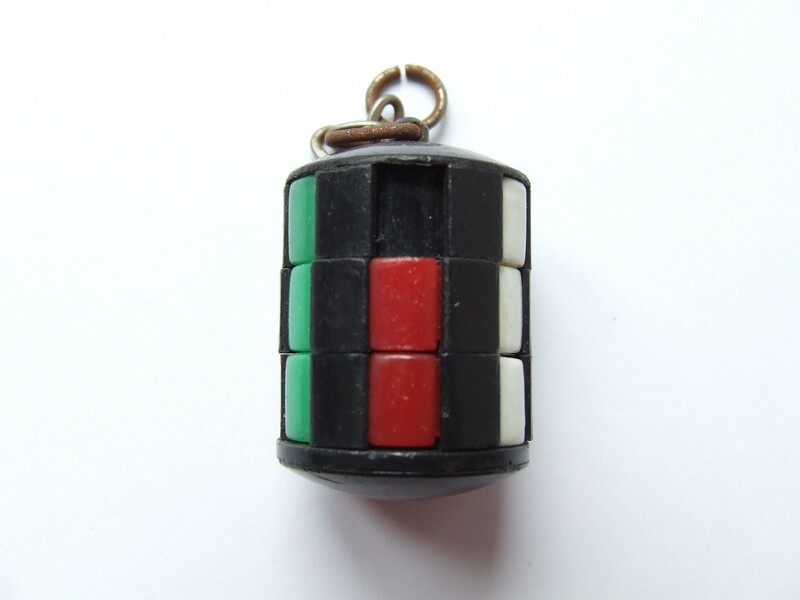 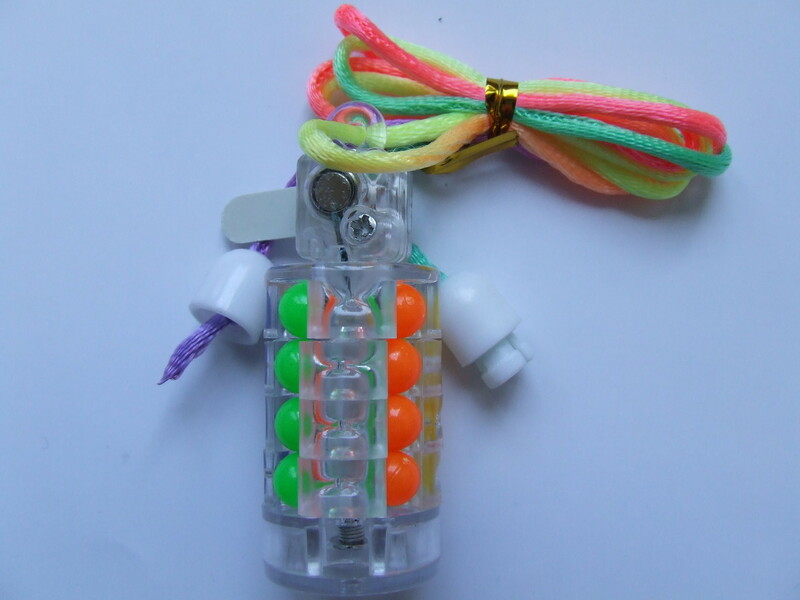 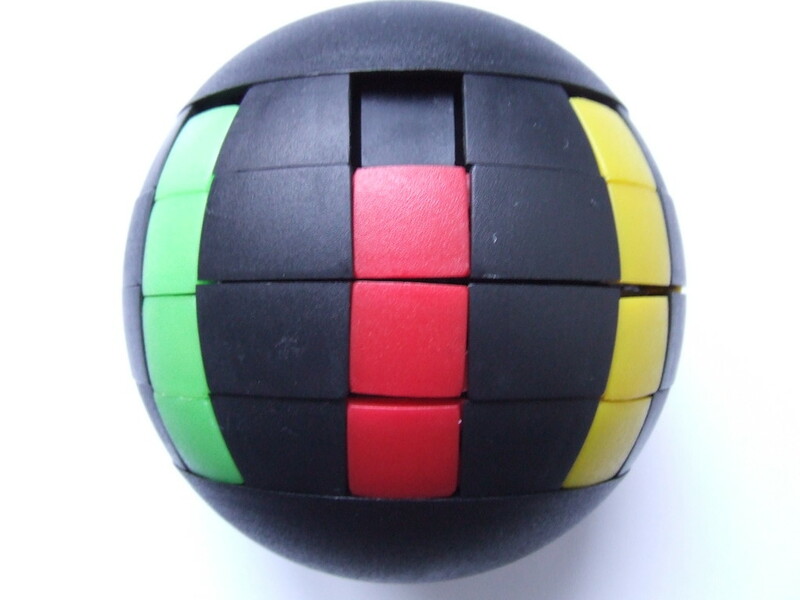 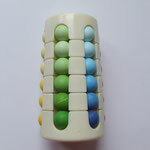 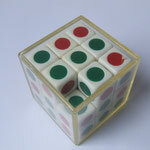 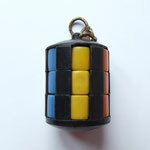 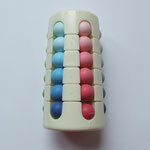 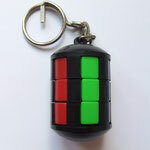 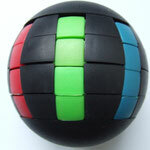 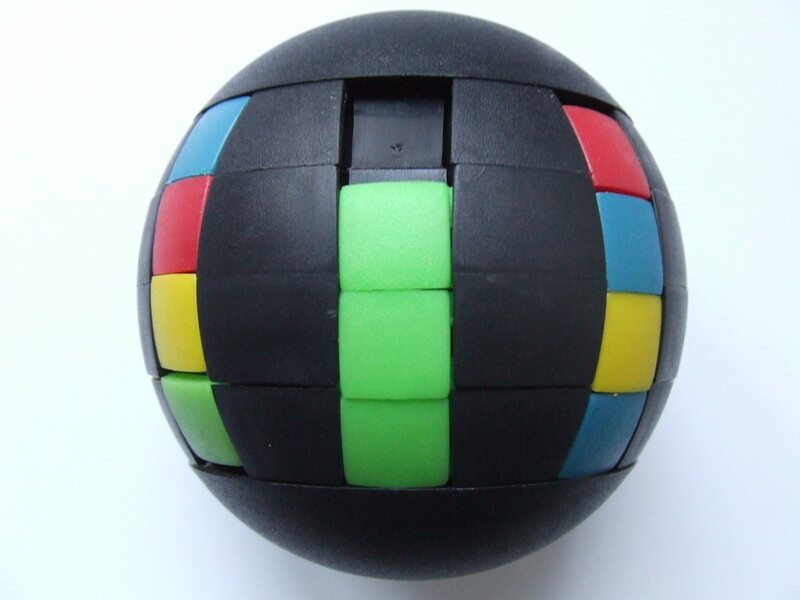 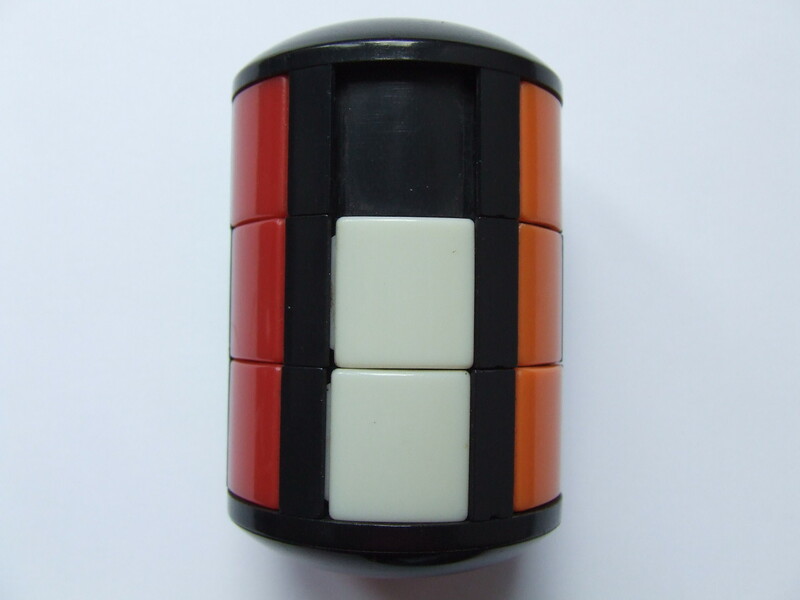 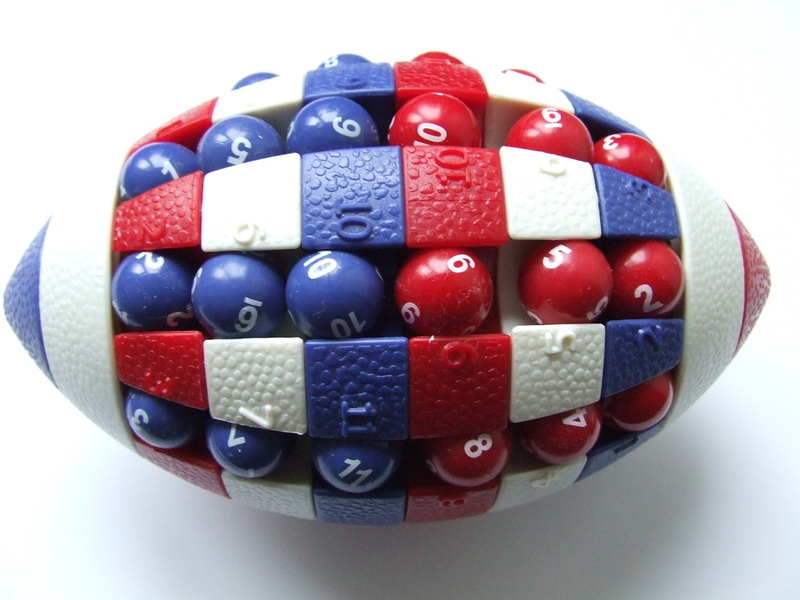 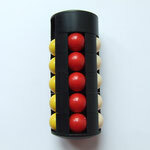 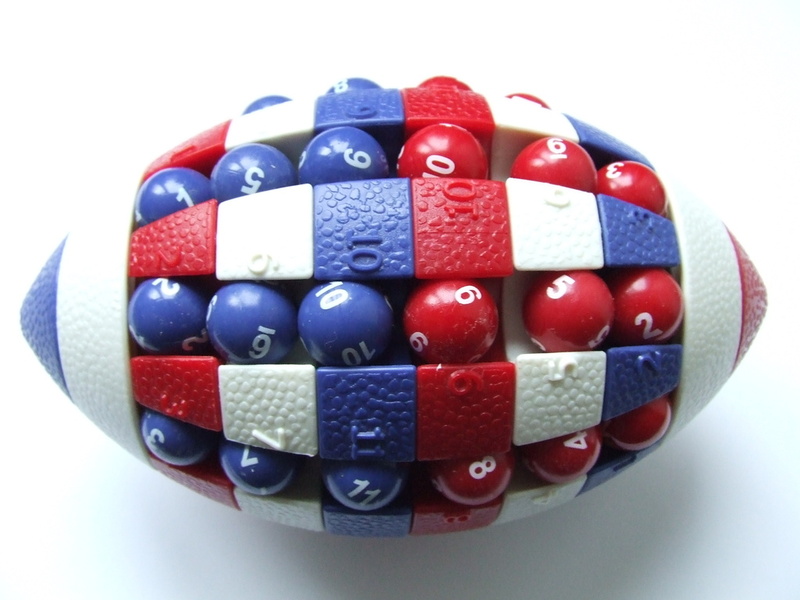 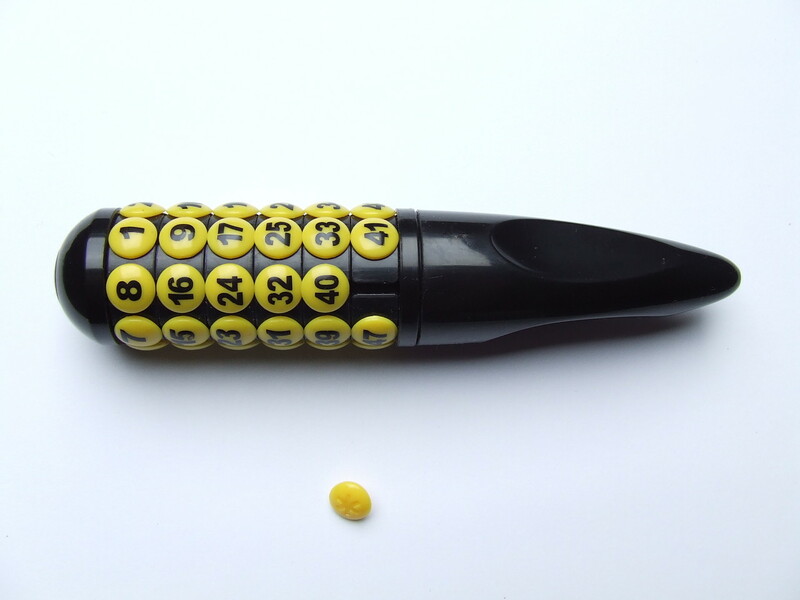 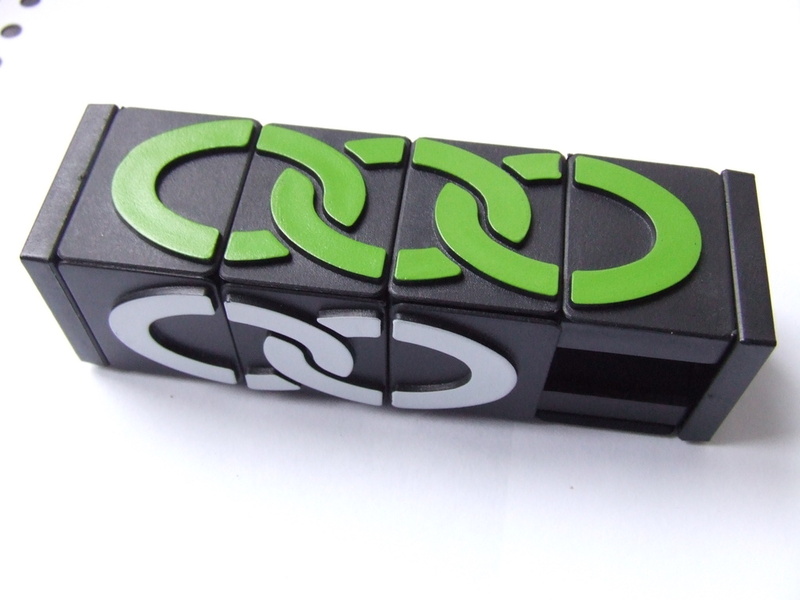 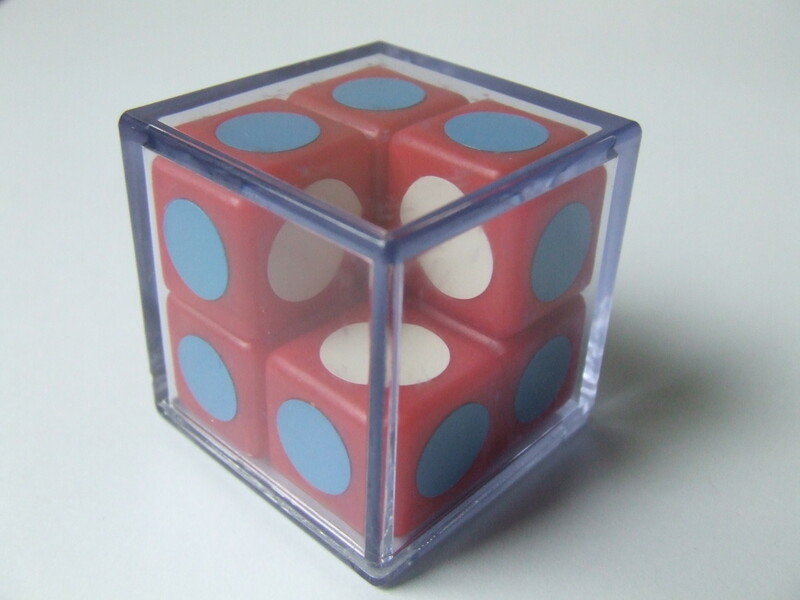 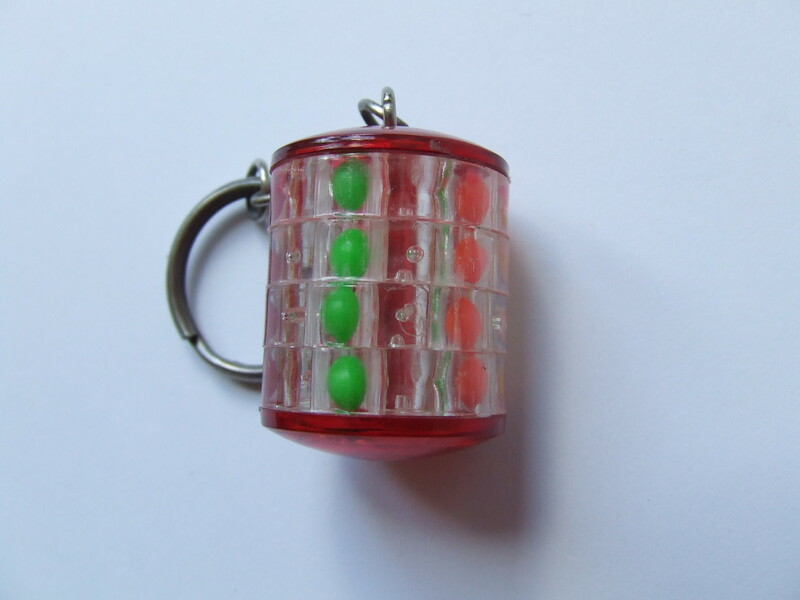 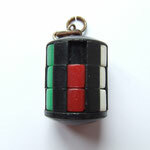 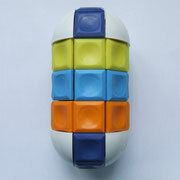 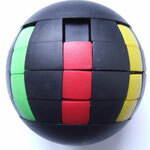 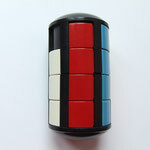 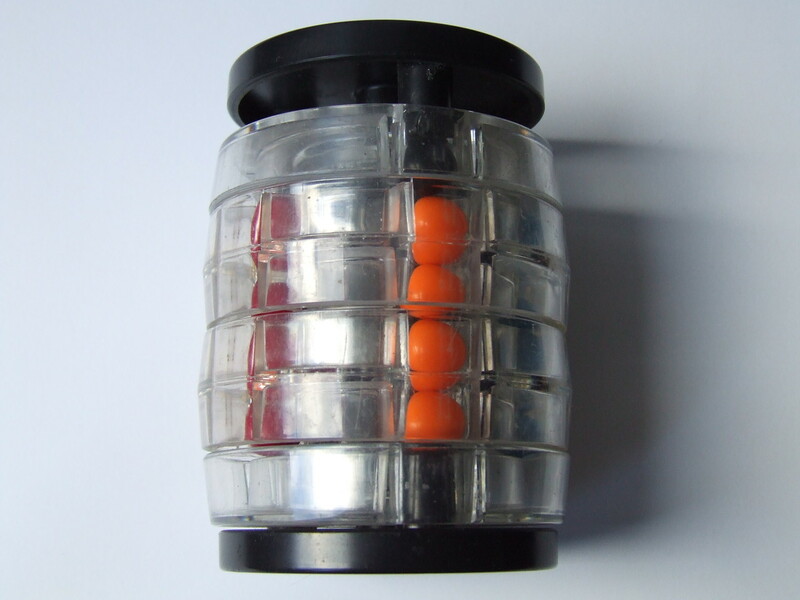 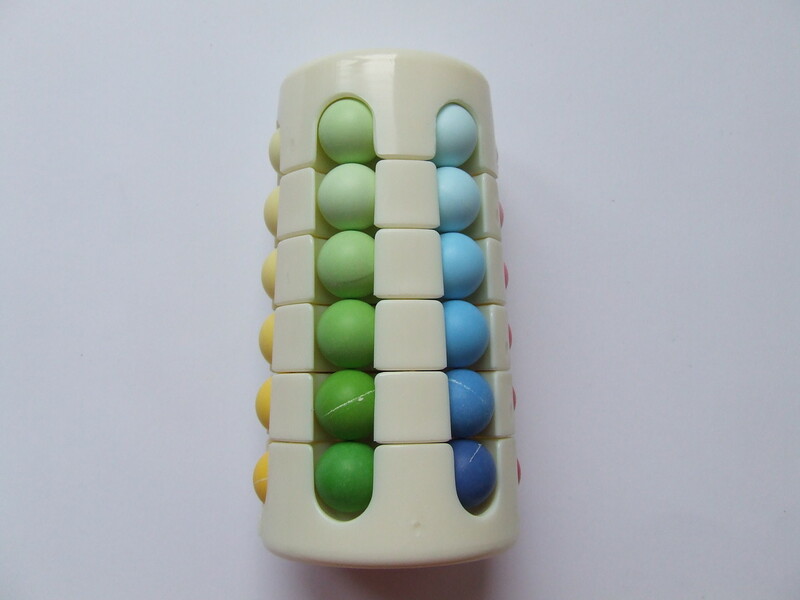 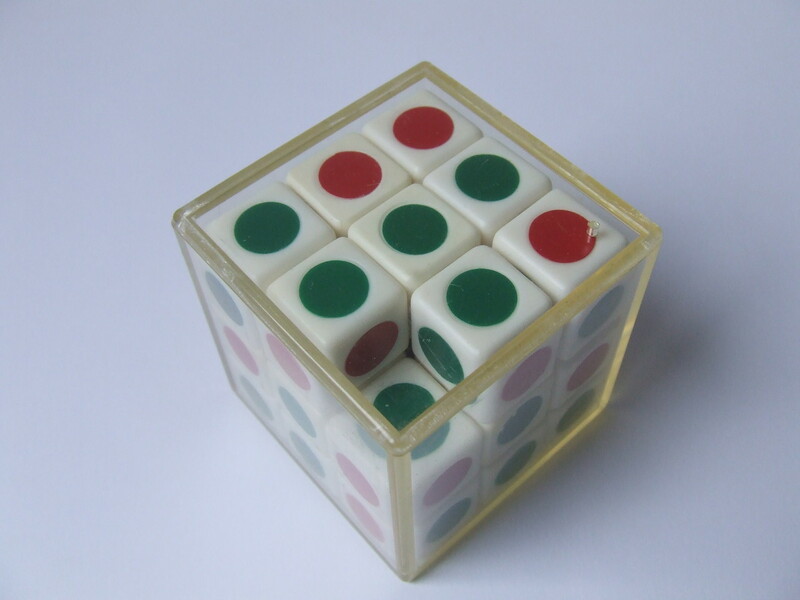 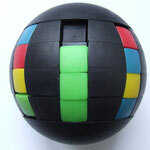 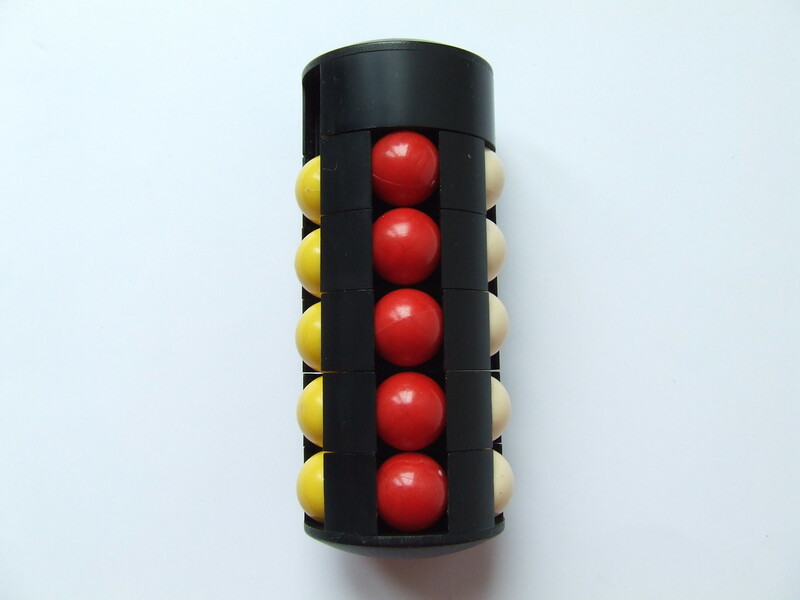 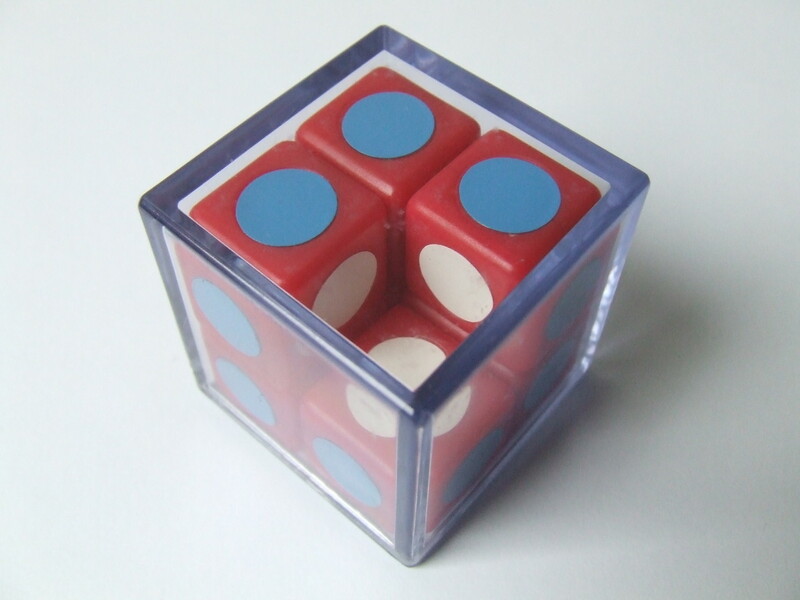 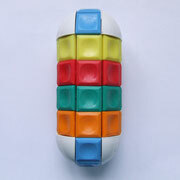 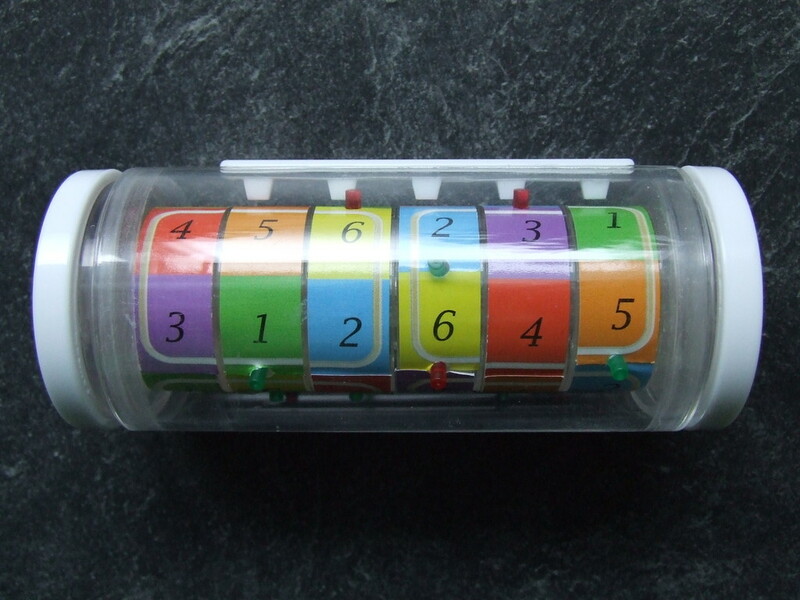 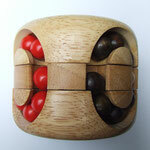 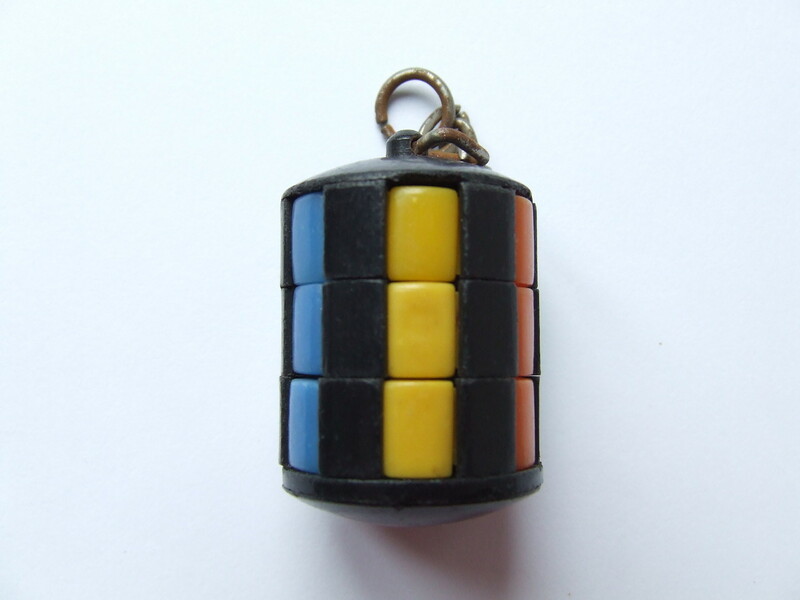 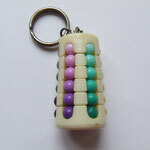 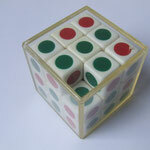 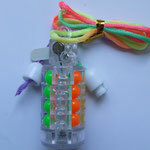 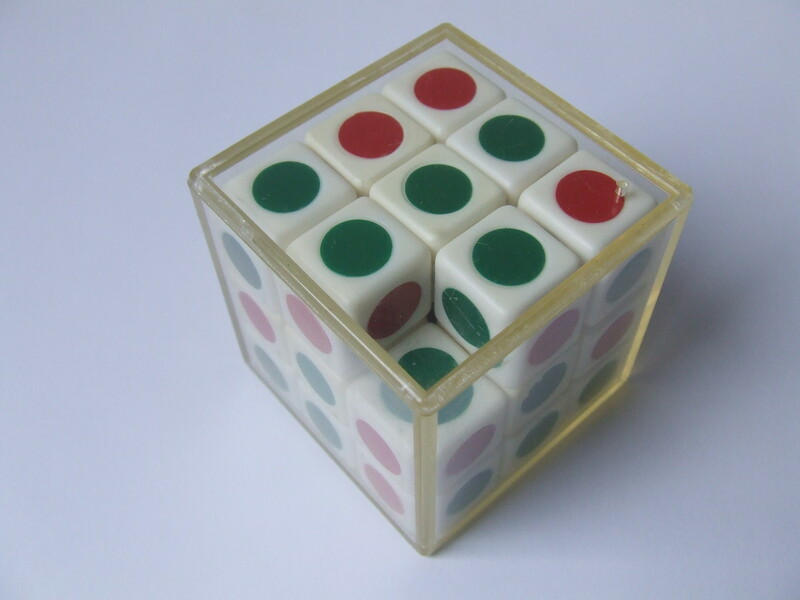 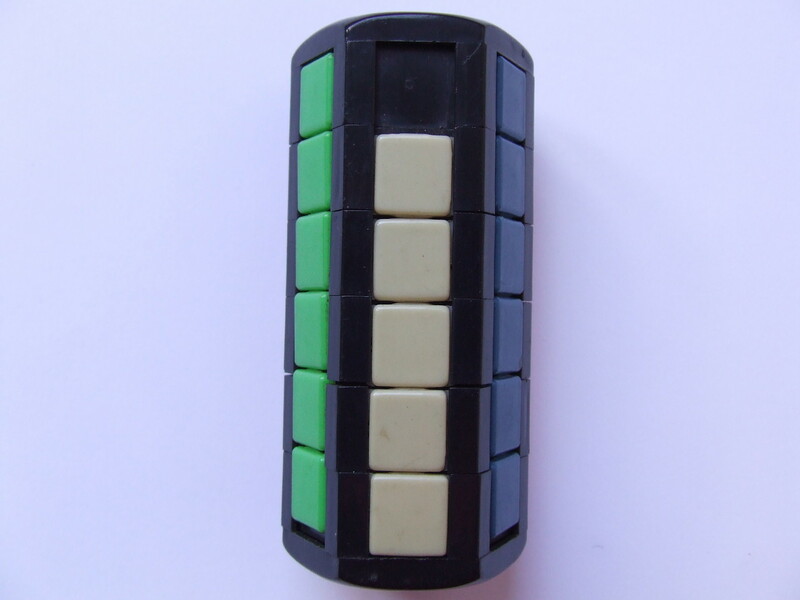 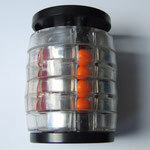 The Minus Cube is a Russian version of the Varikon puzzle with a different colour scheme. 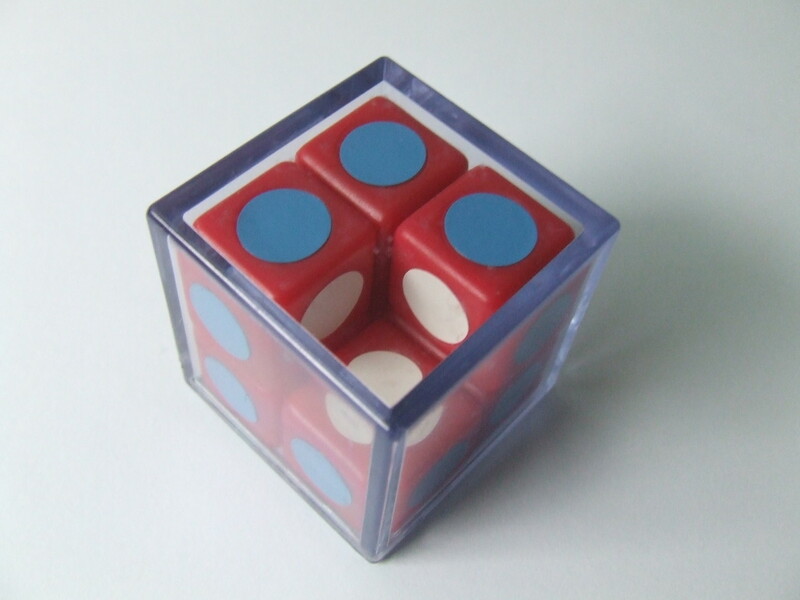 Its 7 cubes are identical, all having three white faces (of which two are opposite each other) and three blew faces.